A short film about the composer Virgil Moorefield 4 years 7 months ago. Virgil Moorefield's Bicontinental Pocket Orchestra performing "Detroit per se" in 2013 4 years 7 months ago. 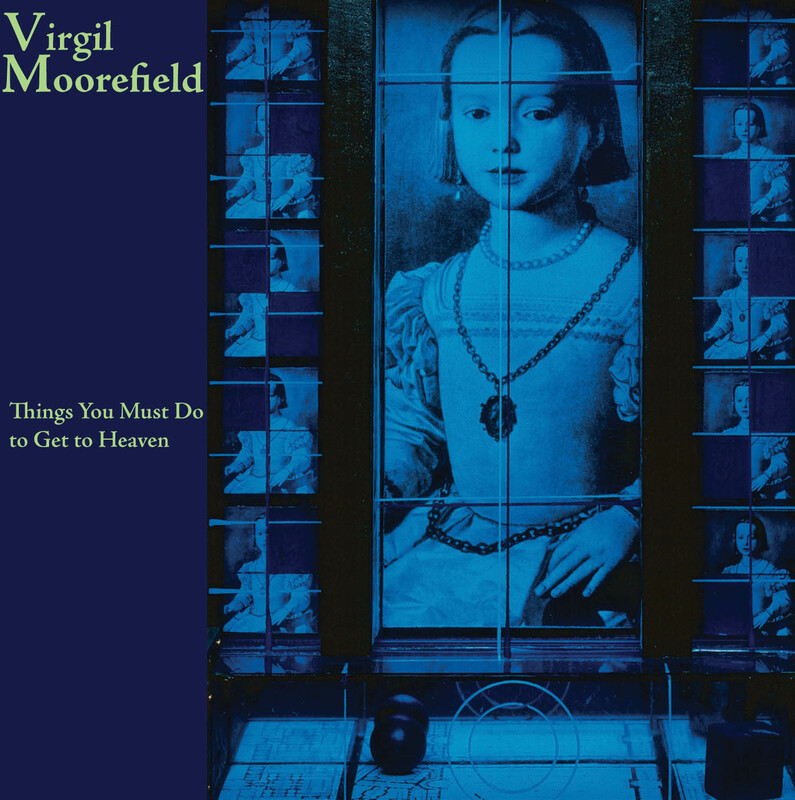 Virgil Moorefield’s new recording, Things You Must Do to Get to Heaven, is the third in a series of CDs of instrumental music by this maverick composer with one foot firmly in classical music-- and the other just as firmly in art-rock drumming. Things offers a remarkable blend of acoustic and electronic instruments, as well as a subtle exploration of rhythm and timbre. But you won’t hear much drumming, at least not on a kit. Moorefield’s music reflects the broad range of his musical experience (he is a prominent member of the New York Downtown music scene, and teaches composition and new media at the University of Michigan), and will likely appeal to listeners whose music collections stretch far and wide. Virgil Moorefield is an American composer born in 1956. His new album is "Things You Must Do to Get to Heaven" (on the Innova label). This is also the title of the opening and predominant work. In four movements — any of which can be a stand-alone piece, too — "'Things' as a whole explores psychological space." That's the composer talking, in his liner notes. The work is "a meditation on mortality from the standpoint of individual consciousness." And "attempts at transcendence are made, with varying degrees of success." I'm afraid I don't really understand Mr. Moorefield in these sentences. Later, he uses the word "comprovisational." I don't understand that, either. Maybe his students at the University of Michigan do. Frankly, it may help to be stoned, which should not be a problem in Ann Arbor. (I speak as a native.) "Things You Must Do" is written for a small ensemble, including percussion (of course — lots of it), guitar, and bass clarinet. It is minimalist, mathematical, clever; simple, playful, mysterious; funky, psychedelic, groovy. Lie back and see the colors, man. Also, the piece just occasionally gets twangy, country. This title work is followed by "Subliminal," which is a short piece for percussion (surprise) and thoroughly New Age. It seems well titled. Finally, we have "Arrival of the Crows," made possible by the Bang on a Can People's Commissioning Fund. Thank you, commissar! "Arrival" is creepy, and suspenseful, and alarming. Hitchcock might have appreciated it for a soundtrack. Also, Mr. Moorefield includes some jazz noodling. I liked this work. And I liked the album as a whole (my ribbing aside). The composer may be a victim of some clichés — of the orthodoxy of his time — but he's got skill. ...The beauty of Things You Must Do to Get to Heaven is that it manages to convey a clear structure using the fewest means (indeed he simplifies the score in performance) while, at the same time, seducing the listener viscerally by way of exactly notated effects worthy of Messiaen.